Dug out a couple of CD’s for the car last night and my first choice this morning was Way to Blue – An introduction to Nick Drake. It was a beautiful mellow way to start the day. I’ve loved his music for years ever since my friend Nick Watt first played the Fruit Tree box set to me when I was at school. The 3 albums he produced during his short tragic life are amongst the most beautiful ever recorded. I don’t listen to them often – I think if I did they would lose their beauty and become background music. Such a shame that he had to die so young – a couple of my friends got to see him but curiously, I notice, very few of them talk about how good he was live. I don’t think performing was his forte and that may explain why there’s not a gushing report from them. Fame is but a fruit tree so very unsound. It also reminded me that I was thinking the other day about how great it would be to be able to find space to get my records and record player back out again. Despite all of the modern technical advances in music and the ability to carry thousands of records in a small black box in my bag I still don’t think you can beat that gentle thunk as the needle drops gently onto the vinyl below. More and more artists are starting to release stuff on vinyl again and hopefully one day I’ll have the space (and money) to listen to music properly again! I was given a memory stick at work today which had two recordings on it and I was asked if I could “sort them out”. I opened one in Audacity and saw what at first looked like a flat line. It was only after looking much closer that I saw a few flicks of signal. I applied 32dB of amplification to it and finally heard something, although it was mostly noise. I can’t believe that someone can sit in front of a recorder for almost 3 hours and not notice that the record meters aren’t moving…..well actually I can as most of our techs seem to spend most of their time on their laptops which would explain it. There just doesn’t seem to be any professional pride any more, it’s almost become a way of getting money while travelling the world and without consequences! As I pointed out to the Project Manager I’ve got better recordings made by hippies on acid in the 1960’s!! It’s typical isn’t it! Everytime I’ve taken my prescription pre-payment card down to the chemist no one has asked to see it – so yesterday I didn’t bother and guess what! Mind you she was a right snooty officious cow the woman in the shop – not seen her before. Think she must have been in training for a job as a Doctor’s receptionist! She certainly had that judgemental attitude about her – I saw that when this poor woman’s debit card was declined, she’d already made her mind up about what the woman was up to despite her protestations that she’d just been paid and there should be money in the account. 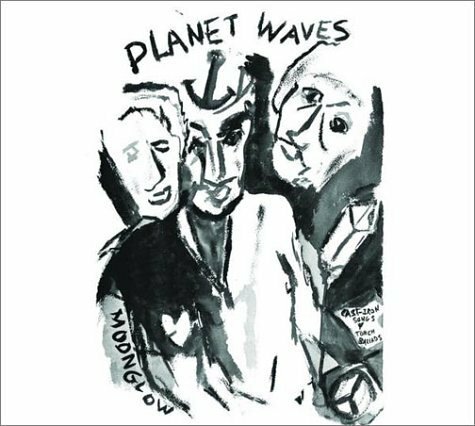 Also listened to Bob Dylan’s Planet Waves tonight on the way home. I came to the conclusion that it is a vastly underrated album. I posted that opinion on Facebook and found that there was a general agreement that it is. One of the aspects of the album is the juxtaposition of songs of love and hate – maybe he should have called it Songs of Love and Hate id laughing Lenny hadn’t got there first! The two stand out songs for me are Dirge and Wedding Song, both of which represent extremes of feelings. It’s amazing that both of these songs appear on the same album let alone that the actually appeared on the same side of the original vinyl disc. I did wonder is they were actually meant for the same person! I know there is a duality in Dylan’s personality but I think I understand how someone can love some once so much and yet hate them at the same time. His marriage was probably in trouble by this point in 1974 so there is a chance that both songs were directed at Sara. There has been many claims of misogyny towards Dylan over the years but I’m not sure if that is the case, I prefer to think that he loves women (too much) deep down but struggles to understand them!